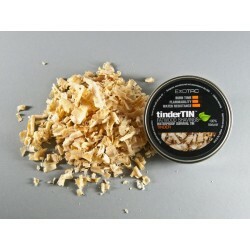 Exotac Tinder Tins. 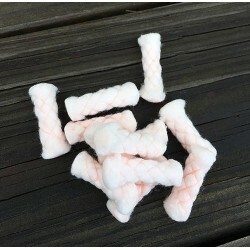 To start a fire you need a fuel in the form of tinder to catch and nurture the flame to allow it to grow. 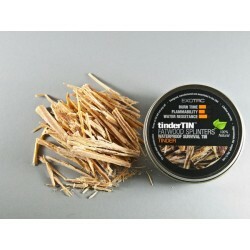 Fatwood is a natural tinder perfect for the job and it come in a nice Exotac tin.